INVESTMENT OPPORTUNITY!!! EXCELLENT RENTAL HISTORY!!! FRESHLY PAINTED!!! 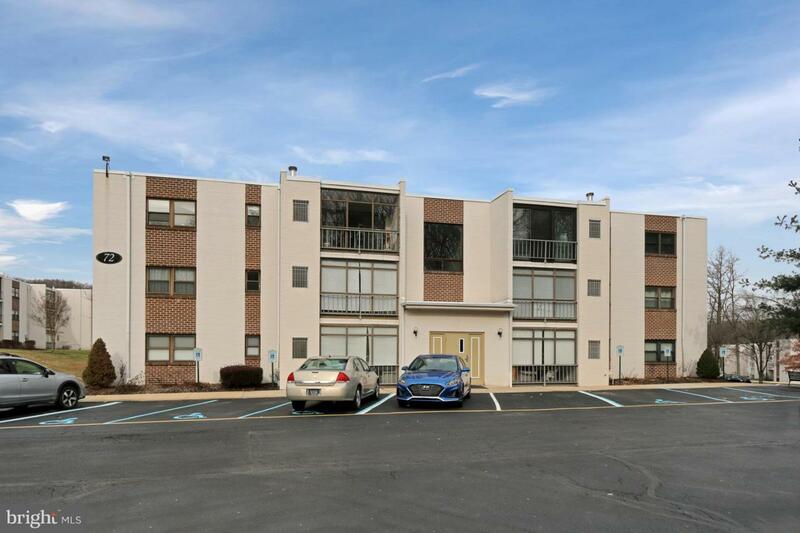 Nestled on 14 quiet acres, the popular Villa Belmont condominiums offer carefree living in a community that is conveniently located near I-95 and the University of Delaware. Enjoy many nearby amenities, including shopping, restaurants, and entertainment! Part of the Newark Charter School feeder pattern, this spacious freshly painted 1 bedroom, 1 bath unit features nicely sized living and dining rooms plus a kitchen with durable vinyl flooring, oak cabinets, Formica counters, Whirlpool appliances, and a ceiling fan. The generously sized bedroom offers a double closet with organizers, as well as double tilt-in windows with blinds. The full bath has a single sink and an open tub. There are two assigned parking spaces plus a large shared parking lot. Community amenities include a sparkling Olympic sized community pool and a wading pool; picnic areas; and a large community room. The laundry facility is conveniently located on the first floor and the condo association offers a storage bin for each unit in the complex. Two wellbehaved pets are allowed per the condo association~s guidelines. The $228 monthly condo fee includes water, hot water, basic cable, trash removal, snow removal, common area maintenance, and exterior maintenance (with the exception of windows, which are the owner~s responsibility).There is an annual fee, currently $52, due June 30 for the central hot water reserve fee. The RRC (Roof Replacement Collection) Plan fee is $34.16/month or $409.92/year. Move in and enjoy relaxed condo living!